De plus un collectionneur ne fera pas ou rarement revivre ce matos. Malheureusement... on se cotise ? Tu crois qu'ils fonctionnent toujours? Au pire, quelques soudures et lampes à changer, mais comme dit Voxyn y'a pas de raison. Après, c'est pas sûr que les acheteurs vont en faire l'acquisition pour l'utiliser, c'est peut-être pour la collection plutôt. Le Magnatone M 190 a été vendu pour 2000 livres (2500 euros). 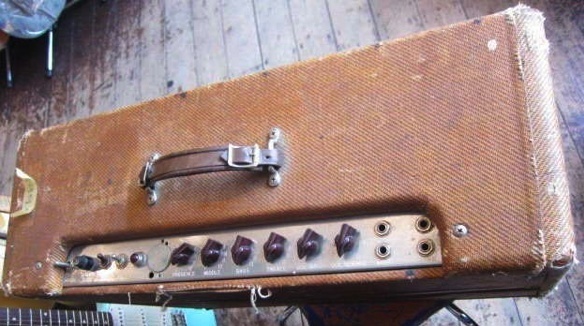 his is a Magnatone model 190 professional amplifier. 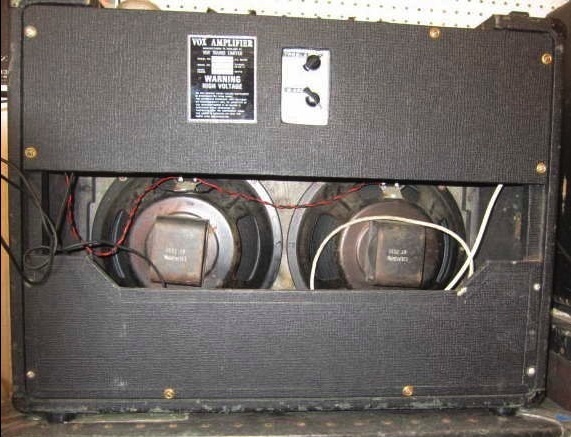 These amps were only made for a short period of time in the late 1950's (about 1957 to '59). The sound of this amplifier is quite incredible for it's size. 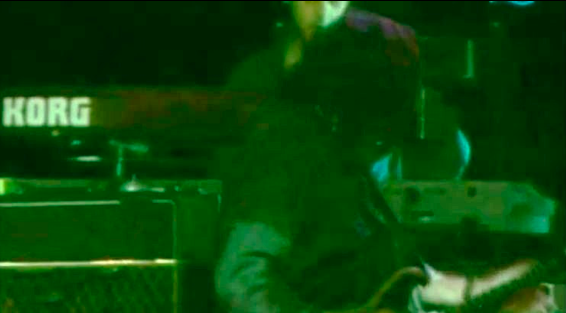 This was a great slide/blues amp and very characteristic of Rory's style of blues. 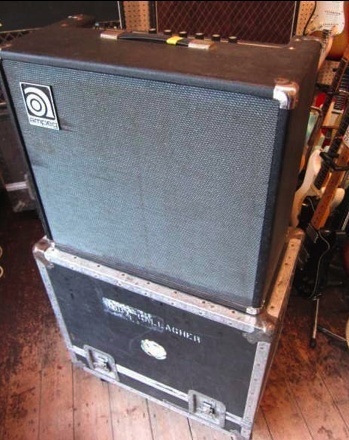 The amp is is very good working order and does come with a very pink Rory stenciled flight case. 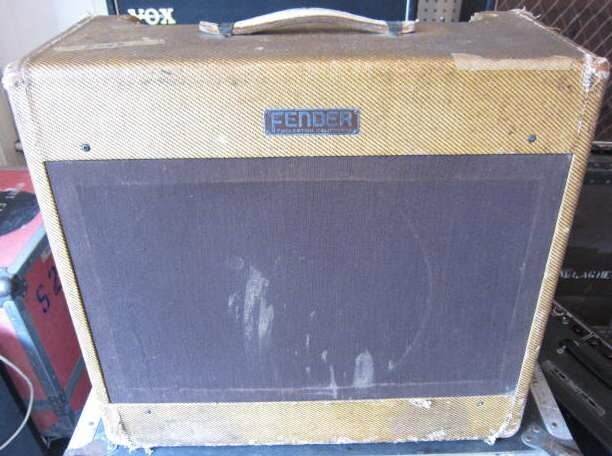 This is one of Rory Gallagher's Fender "High powered" Tweed Twin's. 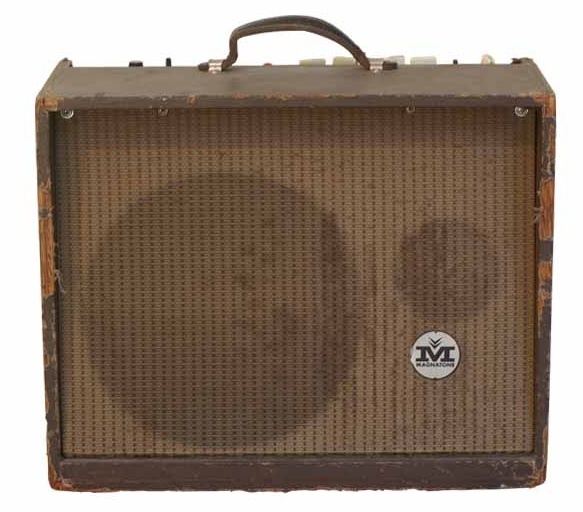 This particular amplifier was used by Rory Live when he played in the United States, and still runs on US 110 volts. 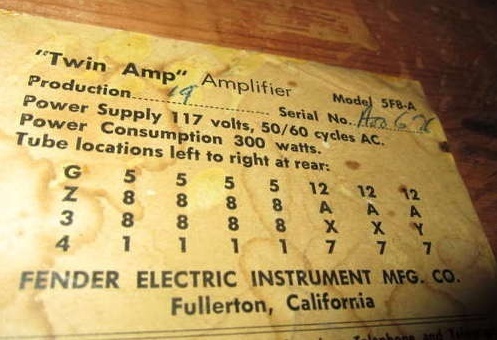 He had another amplifier the same that was used for effectively "UK and the rest of the world". 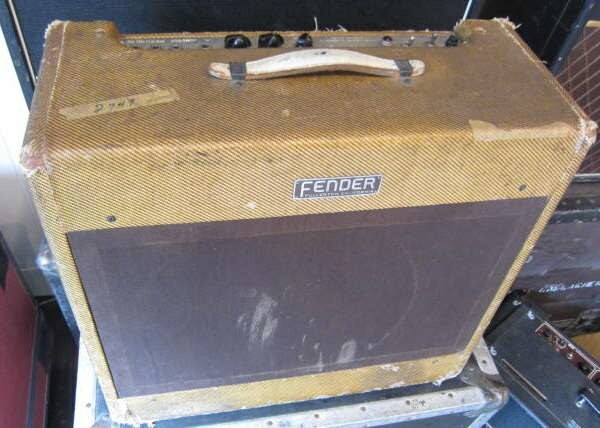 These higher output powered amplifiers are one of the most sought after Fender's in the world. 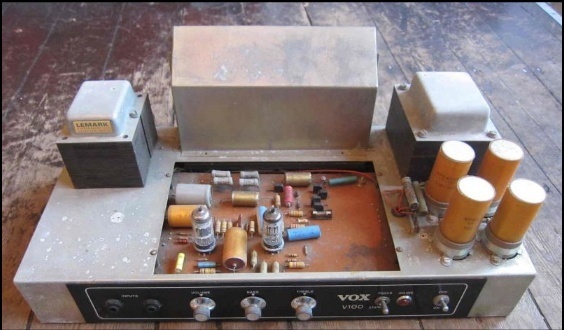 There were very few made during the period of 1958 TO 1960 and have become something of a "Holy Grail" amplifier. 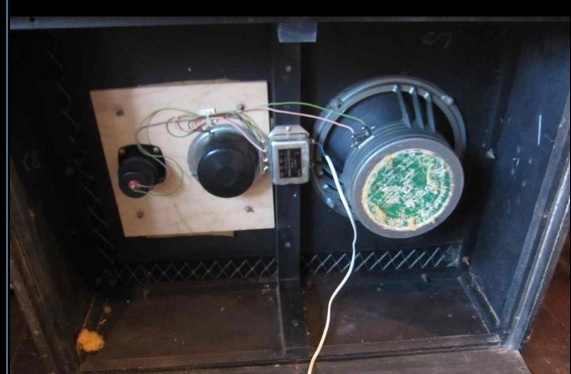 The speakers have been upgraded for heavier coned 12". 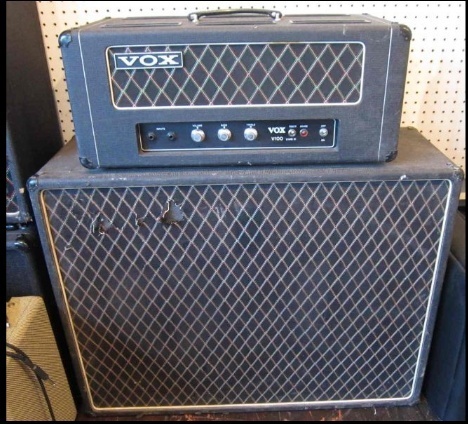 This is a totally amazing amplifier, and has an incredible tone. 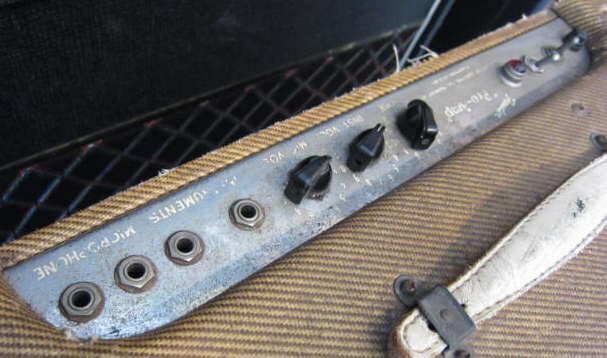 I can not emphasize how rare and amazing this amplifier is. 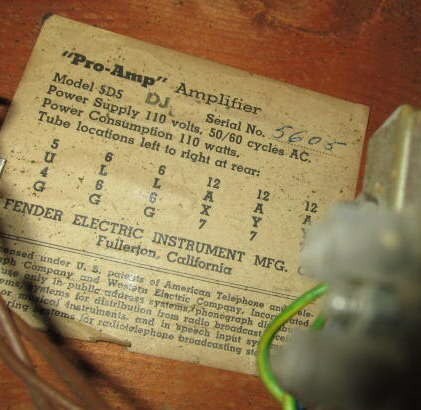 Chino a écrit: Après son VOX AC30 et les amplis Fender, Rory est passé à la fin des années aux amplis AMPEG, le VT 40 et le VT 22, qu'il reliait entre eux. 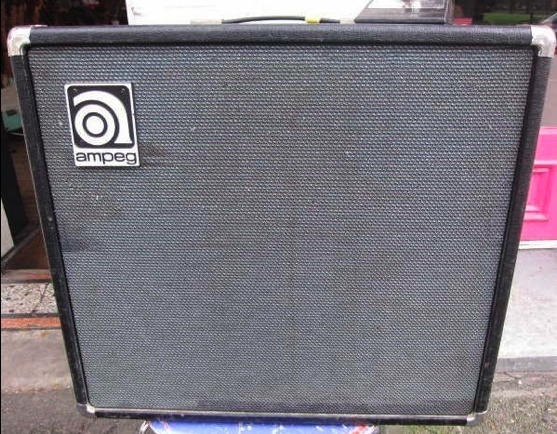 Ampeg VT 40, 4x10 speaker guitar amp. 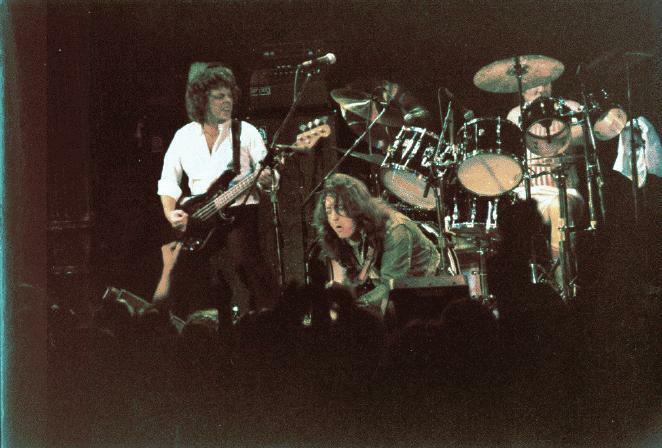 This was used live in and around the 1980's onwards. 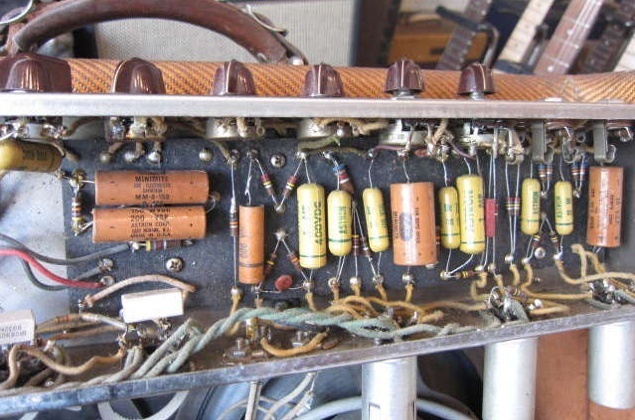 It has to be one of the most amazingly loud amplifiers I have come across from the collection. Totally amazing sound, and to think this was paired up with a Marshall or a Vox 30, is just amazing. 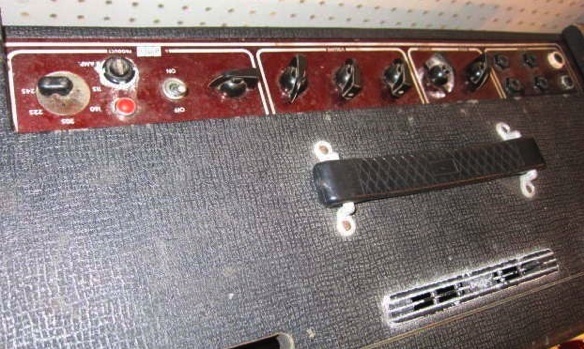 The amp also comes with a stencilled "Rory Gallagher" flight case. 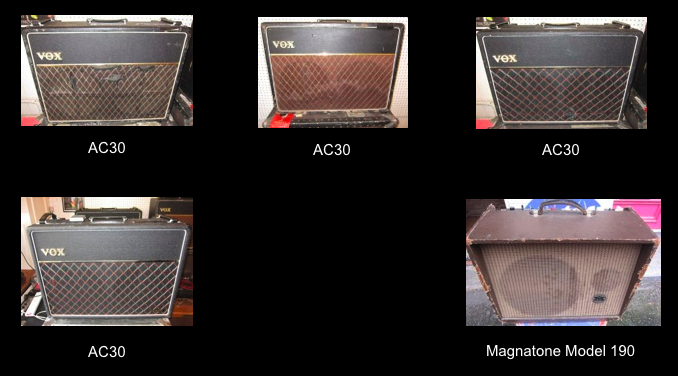 Rory Gallagher's Vox AC30's with flight case. 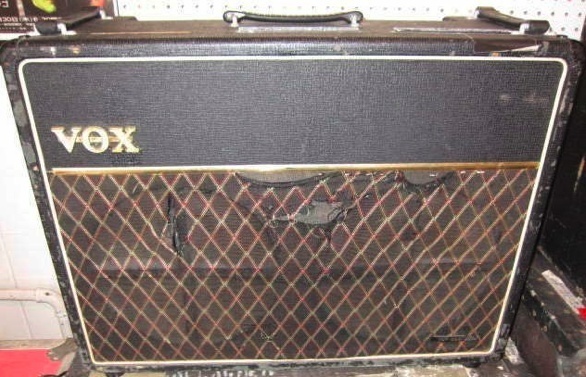 The amp is quite unusual in that it has the early copper control panel, but with a Black diamond check grill cloth, and smooth tolex . (according to Vox, a transition around 1964/65). 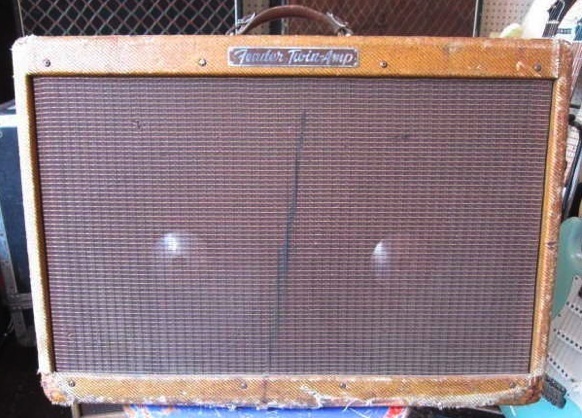 Fender "Pro Amp" Tweed, 1x15 inch comboo. 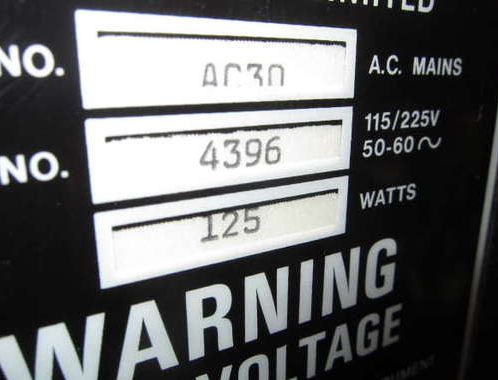 It is the early spec, Square logo period, and is dated to October 1954. 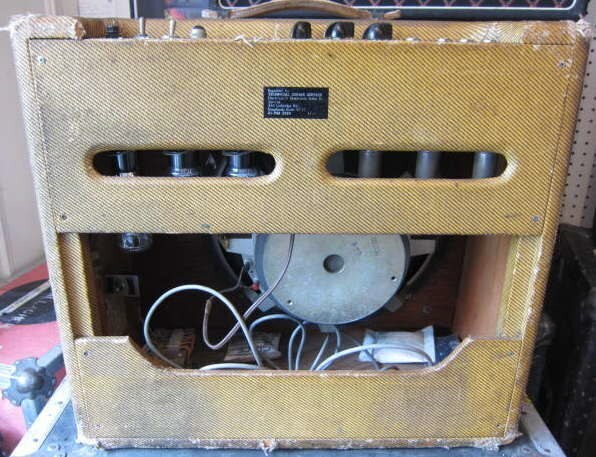 This amp we believe was primarily used as a recording amplifier, but has been used live as well. It has had a speaker upgrade, to something with a way more sbstancial cone, and needles to say.. It sounds amazing. 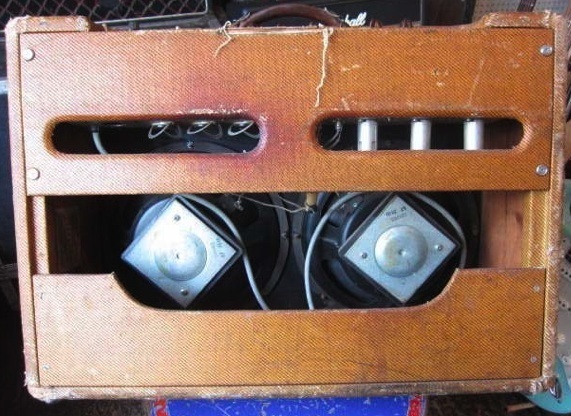 These amplifiers are very rare, and on the Vintage market are not seen very often. 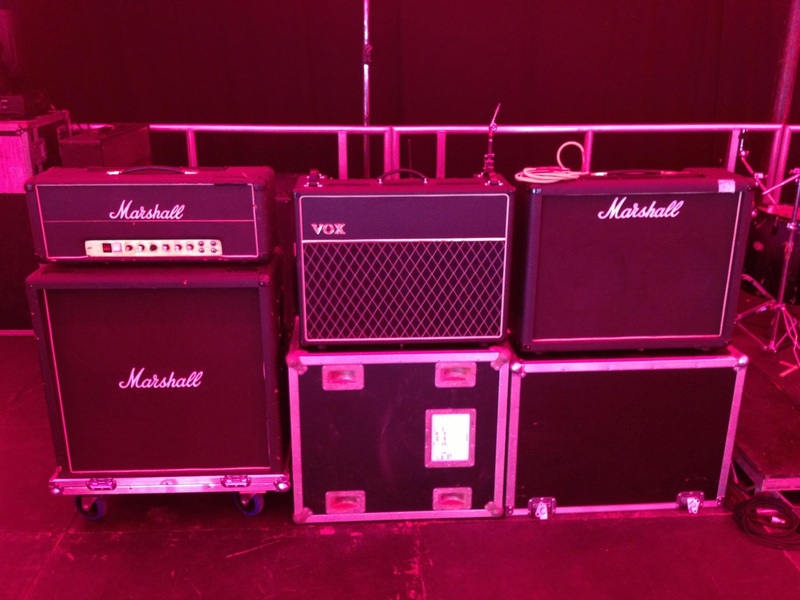 Marcel's strat on Rory's 100 watt Marshall at Ballyshannon 2013. 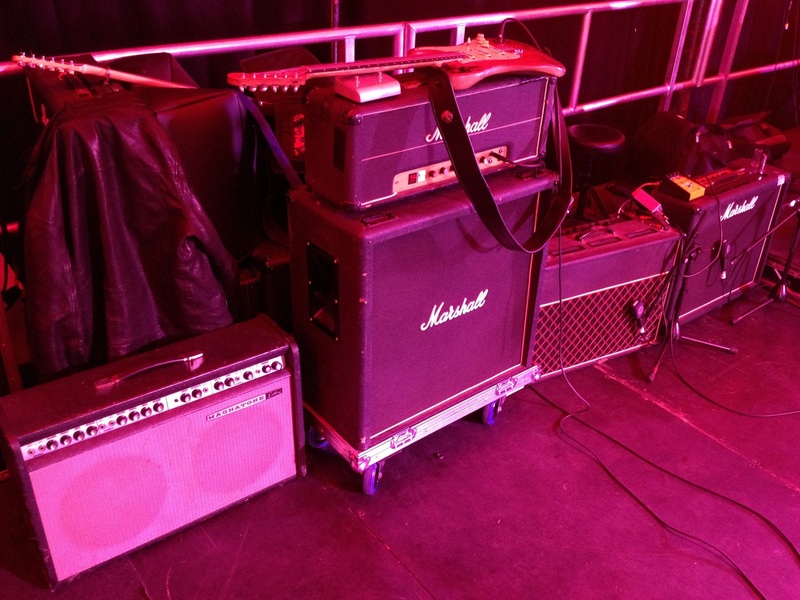 Rory's 1980 50 watt Marshall combo on far right. 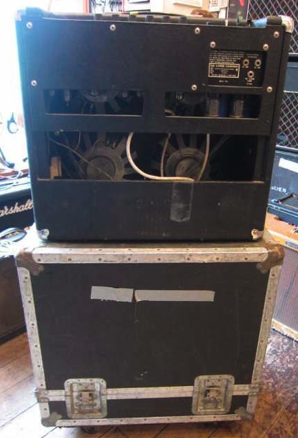 his is a valve Vox V100 head and Cab used by the master himself. 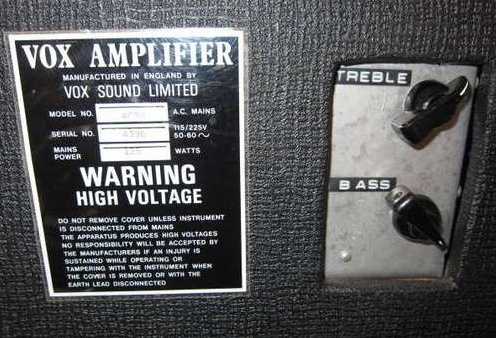 The amp is standard being original and in good shape. 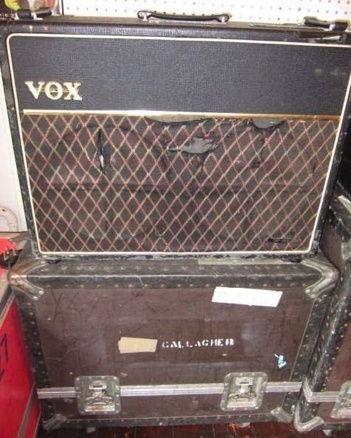 The Vox cab is solid and has a few Gallagher mods, changed speaker, goodmans 12 inch and two further smaller speakers. 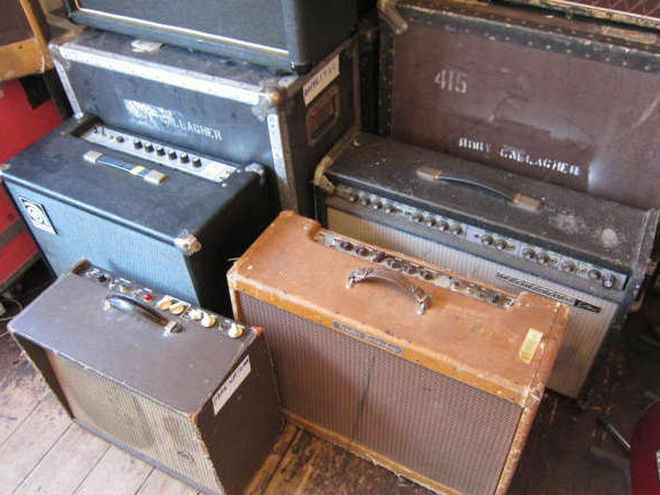 These amplifiers are very rare and especially even more collectible due to the ownership of Rory Gallagher. Tiens, je savais pas que Rory possédait un V100...c'est étonnant ! Vous avez des infos dessus ? Je n'ai jamais vu Rory l'utiliser en live, peut-être l'a-t-il utilisé en studio ? NothinButTheDevil a écrit: Tiens, je savais pas que Rory possédait un V100...c'est étonnant ! Pour le V100, pas d'infos supplémentaires: a priori , c'est unqieument un ampli que Rory a utilisé en studio. 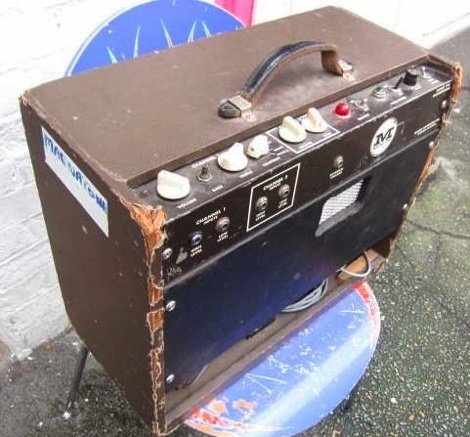 En live, c'était soit un de ses AC30, seul ou couplé avec un Marshall.